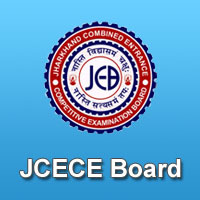 Jharkhand Polytechnic 2019 managed by Jharkhand Combined Entrance Competitive Examination Board (JCECEB) every year for offering admission into various engineering & non-engineering Polytechnic courses. It is a state level entrance exam and referred as Polytechnic Entrance Competitive Examination (PECE) from the year 2018 and this year is going to conduct tentatively in the month of April 2019. Candidates can get admission into aforesaid courses offered at various affiliated colleges & institutions located in Jharkhand, through Jharkhand Polytechnic 2019 scores. Read the article below for more information about Jharkhand Polytechnic 2019. Jharkhand Polytechnic 2019 Online Application process has been started from 28th March 2019. Click Here to apply online. Most probably in the month of March 2019, the Application form will available both online as well as offline mode. Candidates can obtain the application form from the Main/Sub/ Grand post offices in Jharkhand state, in offline mode. Domicile: Candidate must have a valid domicile of Jharkhand. ID: Adhaar Card is compulsory to apply for PECE. Age Limit: the minimum age limit for mining courses is 17 years as on 1st July 2019. There is no limit on other courses. Candidate must be pass 10th/equivalent examination from a recognized board. Candidate must possess 35% marks in the qualifying examination. Payment can be made through online mode (online payment gateway). Payment can be made through offline mode (e-Challan) modes. Syllabus: Physics, Chemistry & Mathematics subjects of 10th level. The authority will release the application form through online or offline mode. Candidates can also obtain admit card through post. Admit Card will be available in the month of April tentatively. To download their admit card, candidates need to visit the official website of PECE. Applicants need to bring the admit card while coming to the examination center. Candidates can check their result online through the official website of the board most likely from May 2019. Applicants should provide their roll number and other important information to download/view the result. Safe the scorecard till the admission process gets over. On the basis of the merit list, the officials will invite the candidates for the counselling procedure. After the announcement of the result, the process of counselling will commence. Candidates, who qualify the entrance test, can download their counselling letter from the official website. At the time of counselling, candidates should bring their original documents for verification.